The Air Force could add up to 1,440 cyber airmen and civilians at Joint Base San Antonio-Lackland. The base, which hosts the 24th Air Force and the National Security Agency, could bring in “approximately 1,280 to 1,440 additional manpower authorizations,” Christine Millette, 24th Air Force spokeswoman, said in an email to Air Force Times. “Joint Base San Antonio was chosen as the preferred alternative due to its optimized cyber mission synergy, proximity to supported command leadership, high-speed network capacity, available facilities, base community support and low cost option for the tax payer,” Millette said. Maj. Gen. James McLaughlin, commander of 24th Air Force, told Air Force Times in February that the cyber mission was likely to expand in the coming months, and cyber airmen could find themselves in San Antonio and at U.S. Cyber Command headquarters outside Washington, D.C. 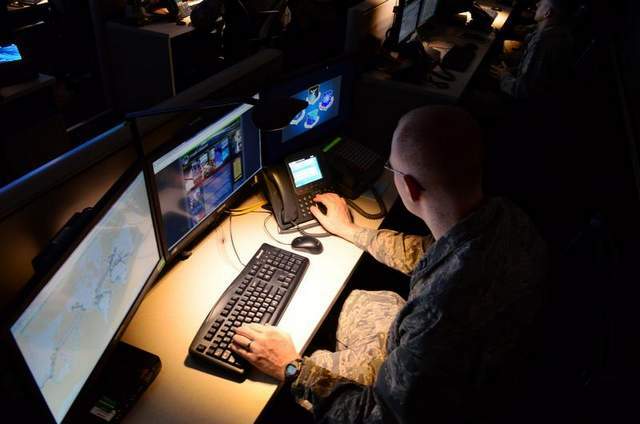 The airmen at JBSA would make up three squadrons of cyber protection teams, which operate and defend Defense Department information networks, Millette said. The final basing decision will be made after an Environmental Impact Analysis Process — an assessment of a proposed site and its effects on surrounding environment — is completed. The number was first reported by the San Antonio Express-News on June 25. The newspaper also said that the airmen and civilian workers should arrive at the base in early October.